After more than a decade in America Jack Jones returns to Australia to perform a very special show – for the first time ever he will be playing all the hits of the Southern Sons including their debut album, which will be performed in its entirety up close and intimate in the Sydney Opera House studio theatre. The ARIA-nominated Southern Sons debut album went double platinum, hit number five on the ARIA charts, and featured four singles. Jack was still a teenager when he found fame in the Southern Sons, which became one of the most loved Australian bands of the ’90s, with hits such as ‘Heart In Danger’, ‘Hold Me In Your Arms’, ‘You Were There’, ‘Always And Ever’, ‘Waiting For That Train’ and ‘Lead Me To Water’. 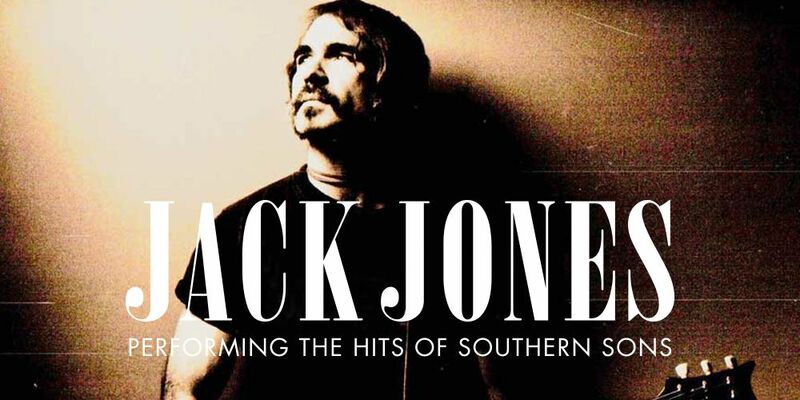 Backed by a stellar band and featuring Jack’s extraordinary guitar playing this will be the first time he has performed all the Southern Sons hits live on stage since the 90’s.